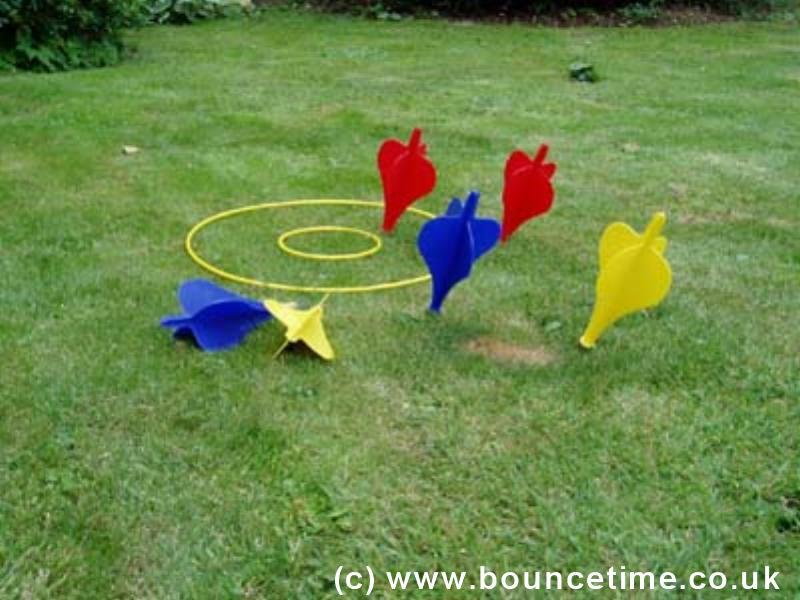 Garden Darts Giant Garden Game - Bouncy Castle Hire 4 Kettering, Corby, Wellingborough, Rushden, Raunds, Rothwell, Desborough, Market Harborough, Adult Castle, Slide, sumo wrestling, Sumo, Crazy Games, Giant Garden Games, Northamptonshire. Our inflatables are ideal for kids parties, adult parties, Garden Party and a corporate or business event. Large and small events are catered for and we are fully insured. We offer cheap and discount prices in school holidays and for larger events. Take the game of darts outside into the garden, where you play on a much bidder scale. Our Garden Darts have metal tips, weighting them to fly across the garden and land in the lawn. This game is really Taking off and becoming a must have at any party!!!! !